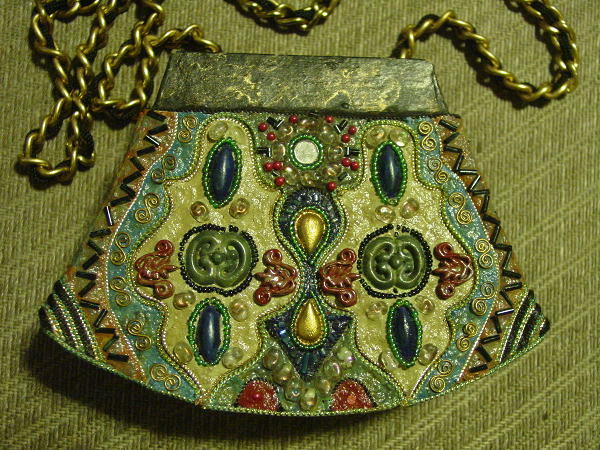 This custom-made very unique evening purse was sold at the Jewel Ritz Boutique in California. 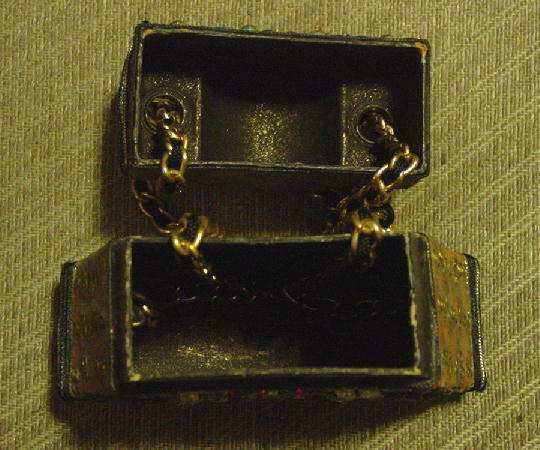 It has a hard cardboard base with a black painted interior. 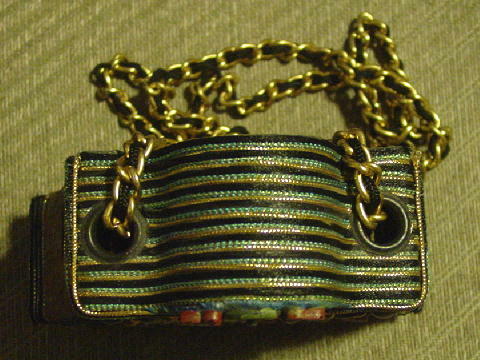 There is a heavy gold-tone link chain shoulder strap with a black cord woven through each link, which is attached to the sides of the interior and goes through the upper sides of the top. The exterior surface is textured and is in light rust, light avocado green, pale yellow-lime, and camel. The sides and front have little wire curly shapes. 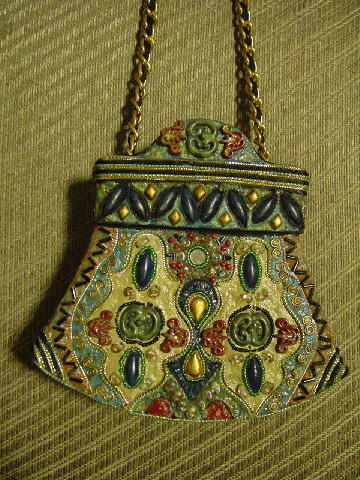 The front has beads, stones, cording, and ornaments in gold, green, blue, wine, and gray on base colors of teal green, rust, and sand. 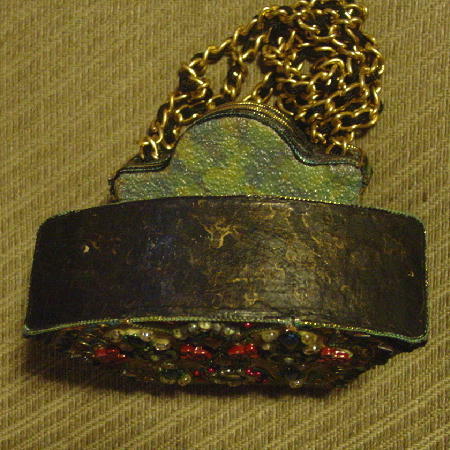 The front lower part of the purse has a missing red bead and a clear stone is missing on the upper left. The green colors are photographing more blue than they are. The paint is missing from the interior corners. 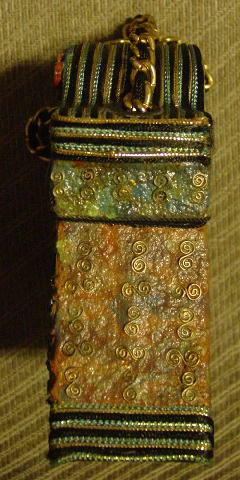 The side cording is gold-tone and a reflection makes it look silvery. It's from an actress's personal collection. She's moving from a big house to a small condo and had to sell a lot of her things. 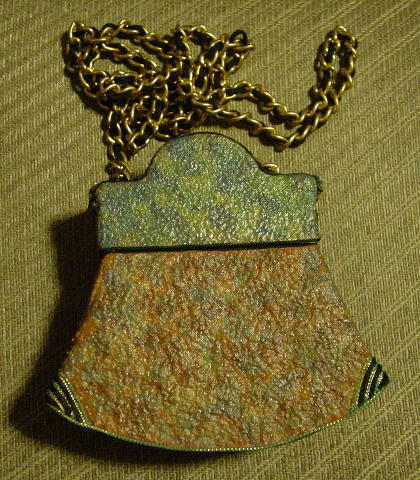 shoulder chain drop 23 1/2"